The Atlanta office of J. Walter Thompson has named Vann Graves as its new chief creative officer under CEO Spence Kramer, who joined the WPP shop in March. Graves comes to the ole with more than 20 years of agency experience, much of it spent at New York offices of BBDO and McCann Worldgroup. According to a statement from JWT, he will work with Kramer to help build "the best creative department in Atlanta" while working to attract new talent and new business. "Vann is a creative force in the industry, and we're incredibly excited to have him join us at J. Walter Thompson," said Kramer, who had been searching for a new creative leader for approximately nine months. "Vann and I have discussed at length our vision for the agency and its future, and there's no doubt he'll help us continue to define and exceed our goals." Prior to accepting the JWT role, Graves served as chief creative officer of FL+G, a Chattanooga-based agency he co-founded in January of this year. He replaces Perry Fair, who served as both CEO and chief creative officer of the Atlanta office for approximately five years before relocating to Los Angeles in early 2016 and later becoming vice president of brand creative for Apple-owned headphone maker Beats by Dre. Throughout the 1990s, Graves worked on major accounts such as Snickers, AT&T and Visa at BBDO. He later left the advertising industry entirely to join the U.S. Army Reserves on active duty in Iraq, ending his service in 2007 after achieving the rank of captain. In 2009, Graves joined McCann, where he became an evp and global creative director working on American Airlines, the U.S. Army and other accounts. His military service is especially relevant to JWT Atlanta, which has worked with the U.S. Marine Corps for more than 70 years. The office's client roster also includes Pennzoil and The United Service Organizations. "[Graves's] leadership style has undoubtedly been influenced by his military experience," said JWT worldwide CCO Matt Eastwood. "He has developed as a leader whose only desire is to truly bring out the best in his team." 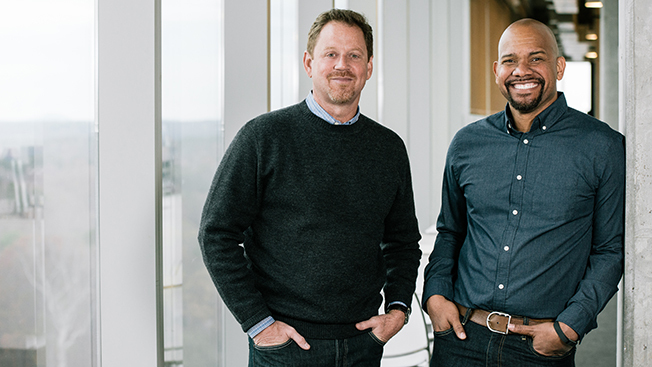 Regarding the new position, Graves said, "Together with Spence, I want to build on J. Walter Thompson's longstanding history of creative excellence and create an agency culture that puts great creative at the center of everything we do. At the end of the day, it's all about the work."